FOOTBALL FANS are characteristically fickle, especially when you turn a winning position into a defeat in the space of a few minutes. Managers and players go from “hero to zero” almost instantly. Liverpool, May 18, 2016. Those supporters who haven’t helped swell sleepy Basel to uncomfortable levels are taking up vantage points in the city to watch Liverpool take on Sevilla in the Europa League final. Around 9,000 of them headed for the Echo arena, where large screens would allow Liverpool fans to watch their heroes in action. As he spoke, a long line of Liverpool fans started to extend beyond the entrance to the arena. 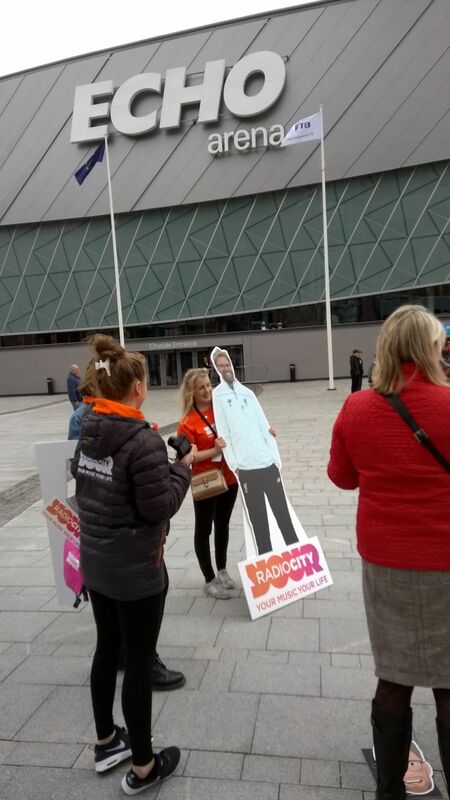 A cardboard cut-out of Juergen Klopp was attracting a lot of attention. The women like Klopp, “he’s the best-looking manager we’ve had for a long time,” joked one fan, who also made a case for Roy Evans (! ), “in a cuddly, mature way, of course.” The jury isn’t exactly out on Klopp, but the honeymoon is probably going to be over soon. Two finals in his first season represent some achievement, but Liverpool are desperate to break back into the upper echelons again. Standing among people who so clearly love their club is quite humbling. I felt like an uninvited guest at a wedding or family party. For a start, I didn’t have a Liverpool shirt on and I didn’t speak the same language. Sevilla are Europa League specialists and as such, represent a tough hurdle for a Liverpool side that had blown hot and cold all season. Spain has emerged in the past few years as the dominant force in European club football. For the past two seasons, they have won all the trophies on offer and with Sevilla in the Europa and Real Madrid and Atletico Madrid in the Champions League, there’s every chance it will happen again. The game kicked off, and the hotel echoes to the sound of “come on, red men”. Every face is intensively involved, every attack greeted with hope and exclamation. Then Liverpool score and the place erupts. It was a great finish, a left shot with the outside of the boot from Daniel Sturridge. “Yeeeeeeessssss.” You could hear noise in the street coming from every bar or pub. By half-time, Liverpool were looking good. The shaggy-haired lad standing next to me, who could have been a refugee from an Echo & the Bunnymen concert, along with his girlfriend who looked like a dark-haired young Margi Clarke, both Anfield regulars, said the key was to not concede in the early stages of the restart. As he turned away, Sevilla equalised. “Too late, mate, they have already scored,” I said. It was the impressive Kevin Gameiro who netted the equaliser, slotting home after good work by Mariano Ferreira. The mood started to change. Liverpool were on the rack and more expletives filled the air. The fans started to direct their ire at Liverpool’s former Sevilla defender Alberto Moreno, who was having a very poor game against his old club. “Someone ******* tell him he has to defend,” shouted one wag. Sevilla ran Liverpool ragged in the second half and by the 70th minute, the Spaniards were 3-1 ahead, both goals scored by Andújar Moreno. In the hotel, the mood became sombre. One fan stood with his head on the counter of the bar, another shook his head in disgust. “Shankly, Paisley, Dalglish, Steve G…what the **** have we got now. Muppets.” I looked at his forearm and there was a tattoo of a craggy man, no hair. It was more Picasso than Rembrandt, but I could just make out that it was either Yul Brynner or Bill Shankly. I assumed it was the latter. “Christ knows what he’d make of this lot,” he added. Over in Basel, the Liverpool fans were singing “You’ll never walk alone”, a sure sign that they had accepted defeat and the song of condolence and undying loyalty was in the air. A few fans, by now turning their backs from the TV screen to joke with the girl behind the bar who was – get this – from Seville!. Another couple were softly singing “YNWA” along with the TV. The whistle went, the bar emptied and all was quiet. Many hearts were broken – the revival would have to wait. The sound was turned off on the TV and music piped over the airwaves. On the screen a bunch of Spanish footballers were not only celebrating a third consecutive Europa League but entry to the UEFA Champions League in 2016-17. As for Liverpool, they’re not even in Europe next season. 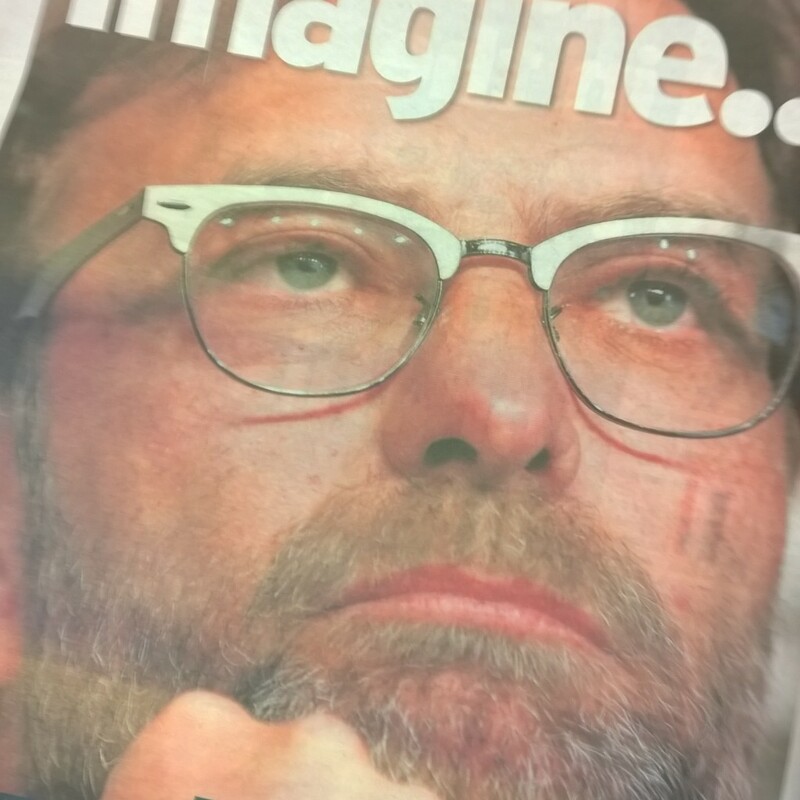 At least Klopp won’t have many distractions as he tries to rekindle the flame on Merseyside.